My heart goes out to Brittany Maynard. Just as it goes out to all people who are suffering at the end of their lives, and who are forced to suffer through extended times of excruciating pain, dementia, sickness, or worse. My heart goes out to their families, their friends, and everyone who is caught up in this painful, cruel situation. Every human should have the right to choose when they die: the tragedy is when someone is robbed of that right. I am not advocating melodramatic suicide, I’m not talking about teenage angst, and I would not advocate “The Right To Decide” unless it was HEAVILY monitored and carefully controlled. But after I reach a certain age, and within certain strictly defined situations (when death is near, or when life has become too overwhelmingly painful and that pain is permanent, when there is a scientific impossibility of recovering) then there is zero defensible reason why any human should have any say whatsoever in how or when I die, if I so choose. If I am suffering from an incurable disease, and wish to pass away peacefully to avoid causing pain for myself and my loved ones: it is *MY RIGHT*. My heart goes out to Brittany Maynard first and foremost because she is suffering. But since she is suffering so immensely, and permanently, it is her right to decide if she and her family want to gather and peacefully send her off with dignity, compassion, love, and grace. It’s nobody’s business but hers, and her family’s. Beyond Brittany, I have personally dealt with this situation in my own life where a loved one was suffering and their death was wrongfully extended into a painful, horrendous, inhumane experience. I also have hundreds of dear friends who have dealt with this in their own lives, being forced to watch a loved one suffer through extended periods of pain, discomfort or humiliation, as they are prevented from passing away in peace and dignity. 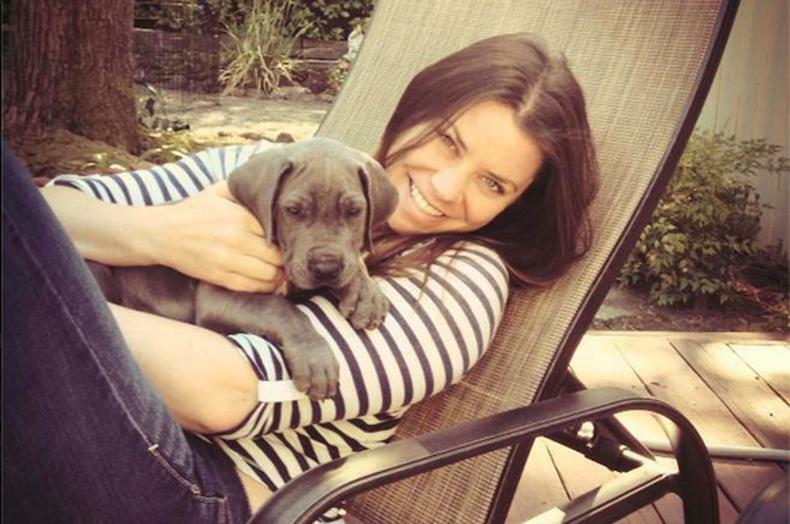 Thanks to the State of Oregon’s Death With Dignity Act, Brittany Maynard has chosen to relax peacefully, and die with dignity, on November 1st, 2014. I have decided to donate all our Dollar Per Bass Head earnings from our November 1st Day Of The Dead event to The Compassion & Choices Brittany Maynard Fund – because I believe this is an incredibly important issue, one that affects all of us, our friends and family members. The traditional holiday “Day of the Dead” remembers those we have lost and still carry in our hearts: and November 1st, 2014 is the day that Brittany will choose to pass on, and relieve herself and her loved ones from their pain and suffering: WE SUPPORT YOU BRITTANY! As we dig ourselves out of the trenches of barbaric, archaic, caveman mentality where outdated religious beliefs restrict our rights, it is time to proclaim loudly the right to die with dignity and compassion. It took us long enough to realize when a thunderstorm strikes, it’s not because “god” is mad at us. It took us long enough to realize that it is wrong to cram Africans onto slave ships and send them off to be slaves in the New World. It took us long enough to realize that stem cell research is a vital and necessary way to improve health care and quality of life. As old, archaic issues fall to the wayside and states decriminalize marijuana, legalize gay marriage, and take other steps to advance our understanding of human justice – it is important to stand up for Brittany, and for all our loved ones who suffer and deserve better. Just as we have abolished slavery and promoted civil rights, just as we have refused to tolerate sexism, bullying, racism, or hate crimes which were accepted and promoted by our puritanical ancestors – this is another BIG issue where we are overdue to make up for lost time, and that time is now.